Chris manages the Menlo Park, Woodside and Portola Valley offices for Coldwell Banker Residential Brokerage. Before becoming manager, Chris was a successful agent working from the Woodside office and serving clients in Woodside, Portola Valley and many surrounding communities. Prior to joining Coldwell Banker in 2006, Chris served in a variety of management positions in the banking industry, including commercial, real estate and construction lending. 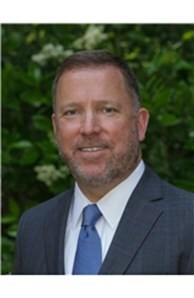 Active in the real estate community, Chris has served as President of the Silicon Valley Association of Realtors, Regional Chair and Director of the California Association of Realtors, and as a Director of the National Association of Realtors. Notably, Chris was selected by his peers as the 2017 Realtor of the Year of the Silicon Valley Association of Realtors.